"Sometimes we don't know what we are looking for but when we find it we simply know"... this is how actually happened when it comes to meeting two creatives teams of Splendida Weddings and Passionate. We immediately felt that we are aspired to go beyond our creative comfort and showcase details that we truly felt inspired for. 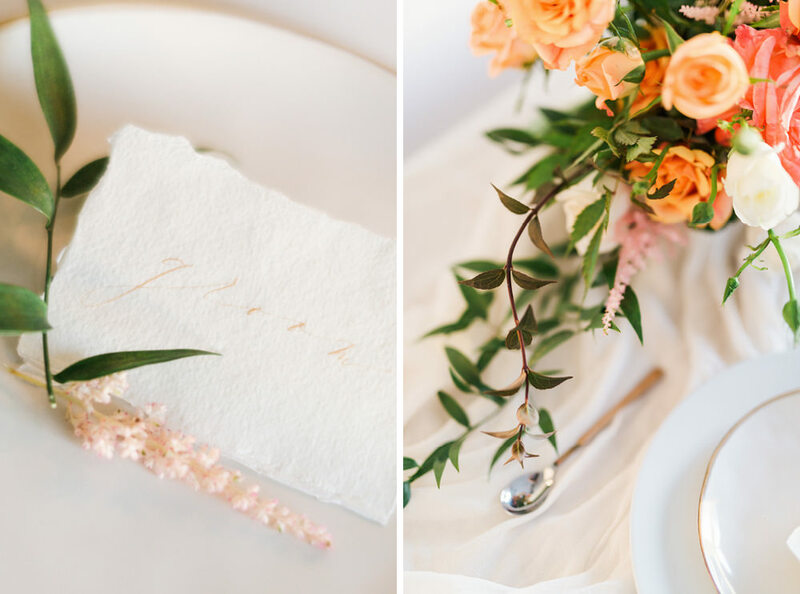 Being passionate about florals , natural textures and simple lines we joint synergies to showcase Tablescape inspiration that goes deeper into harmonious balance of elements, popping up with colours that evoke energetic movement and afterwards soothing all the scenery with simple candle setting. Linen fabrics and cotton paper textures brought some roughness into setting by remaining us how organic element gives that perfect experience of natural pureness.